This was according to BSU President, Dr. Feliciano G. Calora Jr. during the closing program of the three-day pre-certification audit on July 17-19, 2018. 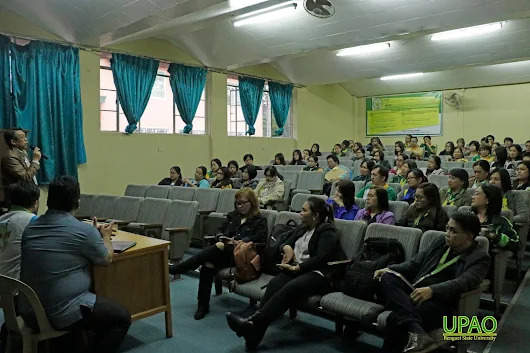 Core and support services of the University were audited by the Quality Plus team composed of Benedict Paul B. Corpuz, Jay-Mie G. Catibayan and Mark Vincent T. Pani. The audit aimed to assess BSU’s conformance to ISO 9001:2015 in preparation for certification audit and provide recommendations of improvements. ISO 9001 is the international standard specifying what a quality management system (QMS) is. The standard is used by organizations to show consistency in providing products and services that meet customer and regulatory requirements. It is the most popular standard in the ISO 9000 series and the only standard in the series to which organizations can be certified. ISO 9001 was first published in 1987 by the International Organization for Standardization (ISO), an agency of more than 160 countries. The present version of ISO 9001 was published in September 2015. BSU began efforts for certification as early as 2010. Recently, the Government Quality Management Committee included ISO 9001 Quality Management System (QMS) certification among the requirements for the grant of the Performance Based Bonus (PBB). “The least reason that you are going through ISO is to be certified and get your PBB, the first reason is to improve…to become a learning organization—from your mistakes and the mistake of others that when something goes wrong, we do something about it, we don’t do the blame game, we do root cause analysis…ISO makes us mature individuals,” said Catibayan, one of the auditors.